Most of you will insist Christmas arrives later in Dec., but for me, Santa’s sleigh and his lovable reindeer came bounding in this week with huge gifts from Jason Aldean and Taylor Swift. The importance of these two launches has been elevated to a force of nature like the summer solstice or a sighting of Haley’s Comet because they are the most significant country releases of the holiday season. Aldean, after a standard length sales week, stormed cash registers with 409,303 units, (49% digital) and earned No. 1 positions on both country and all genre album charts this week. 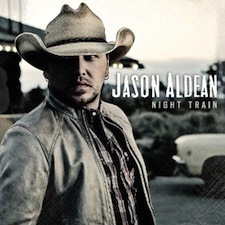 Night Train is the highest debut in country since 2010, the second highest for all genres this year and more than doubled first week sales of Aldean’s previous album My Kinda Party. There were also notable debuts this week from Christmas With Scotty McCreery (No. 2; 41k; 8.5% digital) and Jamey Johnson’s Living For A Song (No. 3; 32k; 44% digital). On a less festive note I’m troubled by Billboard’s recent chart arrogance and lack of explanation or response. Let me explain. Last week we noted Taylor Swift’s single “I Knew You Were Trouble” was kept off the Digital Genre Country tracks chart. This week it has happened with a second Swift track, “State Of Grace.” In two weeks that amounts to nearly 800k units that will not be credited country. As the holiday season progresses it could well be millions of units. Which artist will be next? This arbitrary format classification by song is old-style thinking. Further, it’s important to our industry because Billboard controls the workings of the Nielsen SoundScan system which tabulates the official sales of record for our industry. Ten more sales weeks remain in 2012. YTD 2011 country album sales totaled 42.923 million units, down 1.8% from 2010’s 43.718 million total. Country albums currently have scanned 30.442 million units. To equal 2011 we have to average 1.248 million units for each of the next ten weeks. (Week ended 10-21-12 totaled 1.054 country album scans.) If we’d like to return to the higher 2010 benchmark, we need to average 1.328 million units each week. Swift’s larger than normal numbers entering the chart next week will lower those weekly averages for the last nine weeks… stay tuned… Looks like a pretty safe bet at this point to say 2012 will be an up year!